We are taking a break from our EqWINE event in 2017 to plan for a bigger and better event in 2018! Volunteer and sponsor opportunities available. 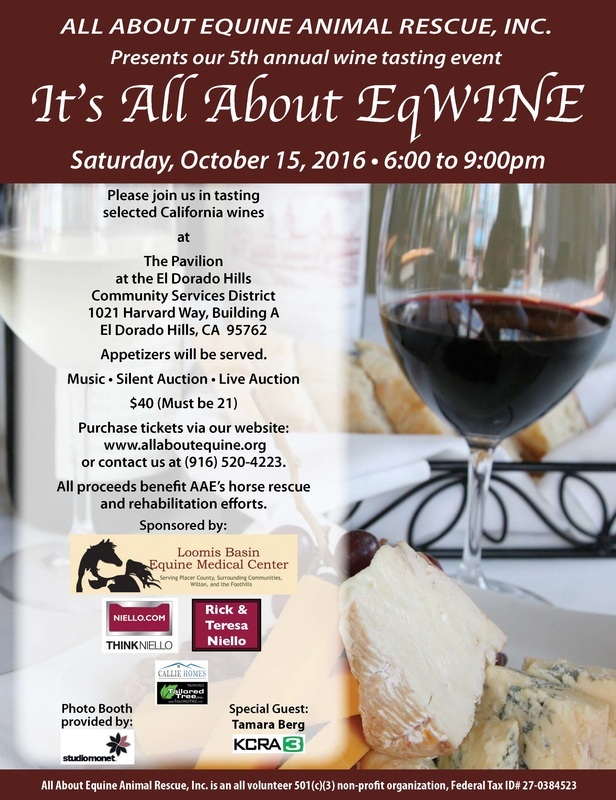 Contact us at (916) 520-4223.or EqWINE@allaboutequine.org if you would like to get involved. All proceeds benefit AAE's horse rescue and rehabilitation efforts.